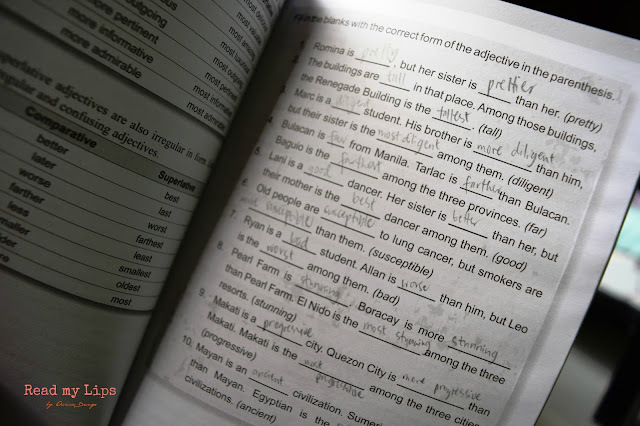 In a country like the Philippines, even those who haven’t attended school can speak English. A lost foreign tourist will surely find his way as the bystanders can direct him through broken English, hand gestures, and sign languages. But when it comes to correct use and pronunciation of this language, many tend to have a hard time. That is, even those who spent years learning English in school. Don’t Speak Good. Speak Well! 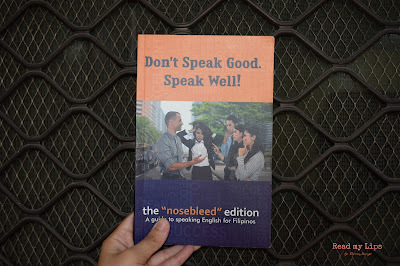 The “Nosebleed” Edition is a brainchild of the American English Skills Development Center, Inc. in their quest to help Filipinos improve their English skills. It is an almost pocket-sized book with illustrations, practice tests, and more. The book is divided into three parts: (1) The Rules of English Grammar, (2) Conversation Strategies and Expressions, and (3) The Sounds of English. It chooses no age as it can be used by students, teachers, or even professionals. I am one of the bloggers who were sent a free book by the organization in exchange of a review. In the following paragraphs, I will be sharing what for me are the book’s strengths, weaknesses, and some notable features. Filipinisms are non-standard English words which we Filipinos are aware of but if used in conversations with native English speakers, may confuse them. Examples are “bottomless” and “comfort room” which should be “refillable” and “restroom, powder room, bathroom, or toilet”. The list was a good way to prepare the readers of the lessons they are about to learn. It was great learning that some words we have been long using are actually not acceptable in standard English. I really enjoyed these! It was like being in school again. On pages 43, 54, and 61, the readers were given tips on how to speak better during conversations. My favorite is instead of saying “Don’t do it!”, say “I wouldn’t If I were you” or “Don’t bother”. On the third chapter, The Sounds of English, I find the way sounds were described as very remarkable. It was very easy to understand and I just haven’t seen anything like it that is why I’m really impressed. Filipinos tend to interchange “F” and “P” sounds when speaking in English. It’s a 115-page book and I personally find it quite difficult to finish. You have to really devote time and patience as it was like reading an academic book. Like something you are obliged to read and not you really wanted to finish. People nowadays have very short attention spans and a lengthy material such as this might not be feasible. It would help if there were more illustrations and jokes, maybe? The tips and strategies in bettering English conversations were the parts I enjoyed best. 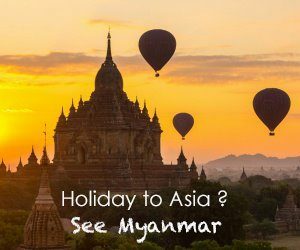 I understand that the basic grammar lessons are important to fully explain English to a beginner, but it would be quite time-consuming for someone who is already aware of those lessons. Perhaps publishing separate books for beginners, intermediate, and experts needing review would make it compelling and concise as well. Overall, Don’t Speak Good. Speak Well! 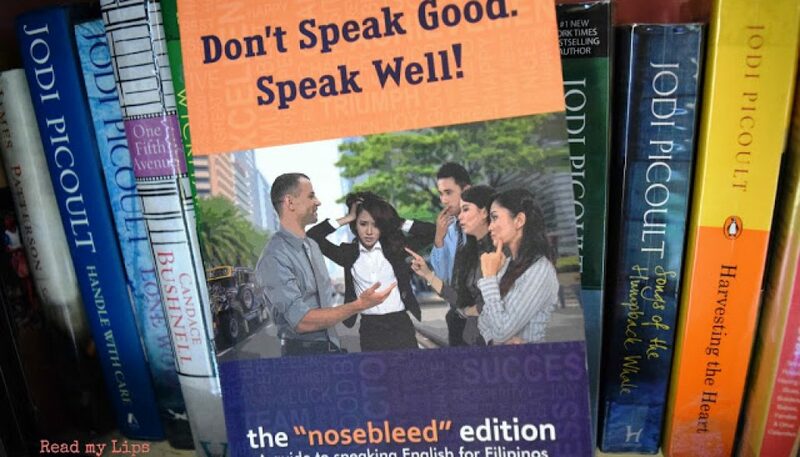 The “Nosebleed” Edition is a good read. It is very informative. I have always thought that I know a lot about the English language but this book gave me insights on topics which for the life of me I couldn’t seem to master. I learned about count nouns, abstract nouns, subject and object form of pronouns, verb tenses, order of adjectives, the Schwa sound, and also voice and unvoiced sounds. It’s a good resource material in learning English, but for sure, constant practice is still the best way to be good at it. Have you read this book or is planning to read it?